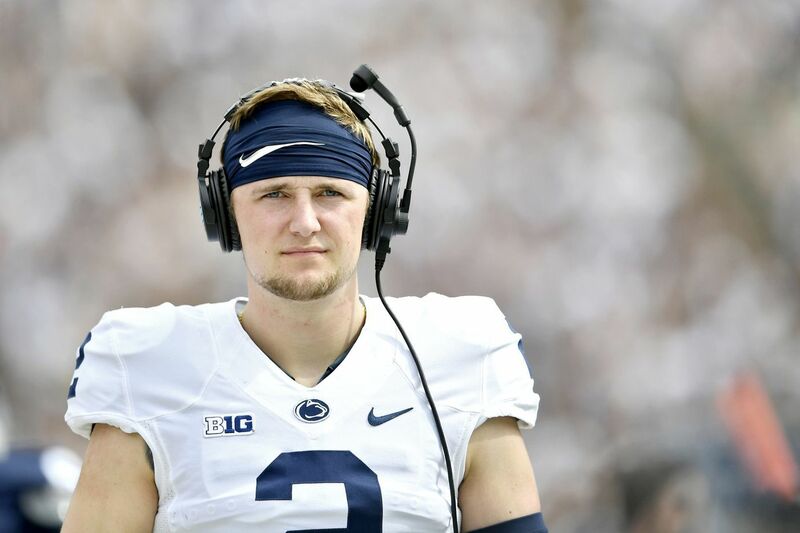 STATE COLLEGE, Pa. – Tommy Stevens watched Penn State’s Blue-White Game from the sidelines on Saturday, talking at times with Trace McSorley, the quarterback whose job Stevens and two other candidates would like to inherit once the Nittany Lions start play for real on Aug. 31. The battle to be the No. 1 signal caller likely will go into the start of training camp. Redshirt sophomore Sean Clifford got the majority of reps for the Blue and completed 11 of 19 passes for 168 yards and one touchdown in his team’s 24-7 win before an estimated crowd of 61,000 basking in bright sun at Beaver Stadium. Stevens, who is entering his fifth season, sat out the game while recovering from foot surgery he underwent in December. Will Levis, who sat out his first year last season, went 4 of 7 for 86 yards, including a pretty 59-yard deep ball to fifth-year senior Dan Chisena for a touchdown. After the TD catch, Lions head coach James Franklin announced to the crowd that Chisena would be placed on full scholarship. Franklin said he is a big believer in competition at every position, and the one at quarterback should be fierce. Stevens was considered the favorite to succeed McSorley even though his foot, which he first injured last spring, kept him from playing at 100 percent. He saw action in seven games last season. Clifford said everyone, including freshmen Ta’Quon Robertson and Michael Johnson Jr., are working hard.